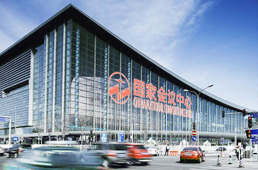 National Continuing Education Classes of China Endovascular Course 2018 (CEC2018) will be held at the Shanghai International Convention Center on December 27-30, 2018. 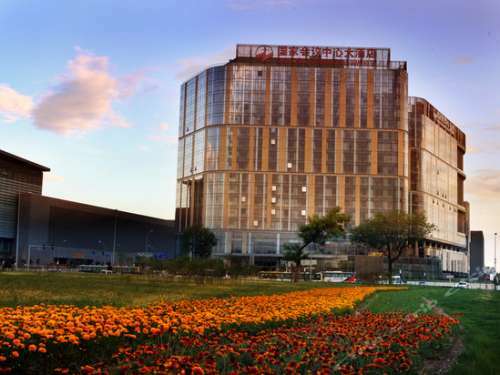 On behalf of the Organizing Committee of CEC2018, we sincerely invite our fellows and distinguished guests from home and abroad who work on the field of diagnosis and treatment of vascular disease to participate in the 11th National Continuing Education Classes of China Endovascular Course 2018 (CEC2018). 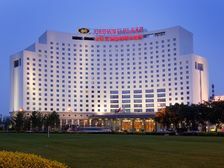 CEC2018 is jointly organized by Shanghai Fudan University Affiliated Zhongshan Hospital, Capital Medical University Affiliated Beijing Anzhen Hospital, People's Liberation Army General Hospital, Cross-Strait Medicine Exchange Association of Vascular Surgery Special Committee, and China Research Hospital Society of Vascular Medicine Professional Committee and it is under the strong support of several Academic institutions and organizations such as Chinese Medical Doctor Association Surgeon Branch Vascular Surgeon Committee, China Association for Medical Devices Industry Vascular Equipment Branch, Shanghai Medical Association Vascular Surgery Branch, Chinese Journal of Vascular Surgery, Chinese Journal of Surgery, Chinese Journal of Practical Surgery, National Medical Journal of China, Chinese Journal of General Surgery, Chinese Journal of Vascular Surgery (Electronic Version), Chinese Journal of Vascular and Endovascular Surgery, TOPCEC.com and 365heart.com. Since its establishment in 2008, CEC has always been committed to the aims, that is ,strengthening basic treatment, standardizing clinical operations, serving first-line doctors, tracking major research, and comprehensively displaying the latest progress in the field of vascular disease diagnosis and treatment at home and abroad, working on the latest technology and the most extensive collaboration of disciplines to promote China's vascular disease clinical diagnosis and treatment and scientific research progress and innovation. 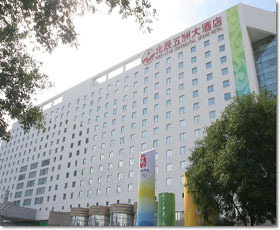 In the past ten years, CEC has grown together with Chinese vascular diseases and developed into a Chinese vascular disease academic event that affects the three places across the Taiwan Straits to attract global attention. In 2018, CEC will start a new chapter of another ten years, build the highest level of academic platform, display the latest advances in medical technology, welcome the most extensive collaboration of disciplines, and build the closest international cooperation. In 2018, at the bank of the Huangpu River, it is the fourth time that we witness the opening of China Endovascular Course in Shanghai. CEC2018 will continue to fully demonstrate the norms and innovations in the field of vascular diseases at home and abroad in the form of the domestic basic courses, expert keynote speeches, surgical demonstration videos, and satellite operation live broadcasts, joining hands with important vascular surgical academic organizations on both sides of the Taiwan Straits, along with the world's top international vascular disease academic community to create a most internationally influential vascular surgery academic platform for Chinese vascular disease workers. CEC belongs to all clinical medical personnel working hard for vascular diseases, belongs to scientific research workers who are committed to promoting technological innovation, and belongs to patients with vascular diseases that benefit from rapid advancement in medical technology. We look forward to your support and participation! Sharing academic feast! Promoting vascular health together! Please click the link below to download the PPT template of CEC2018. CEC2018 Committee consists of the most renowned vascular surgeons, interventional radiologists, interventional cardiologists and other vascular specialists at home and abroad to accomplish the objective of CEC. Followed by the success of the last nine annual meetings, CEC2018 will provide vascular specialists with a most current information about up-to-date developments in clinical practice and relevant research. Also, we’re welcoming you to contribute and participate the opening sessions. CEC2018 features many presentations, videos and papers throughout the four-day event. Click the below link to review the program outline and sessions. The specific program will be available soon, please visit our website to be kept informed of all latest news. Please contact the Organizing Committee of CEC2018 for registration, as online Registration is not available this year. Thank you for your understanding and sorry for any inconvenience caused to you. Identification certificate or receipt should be taken to get your name badge at the receptions. You can also pay cash at reception during the opening hours for registration. Copyright © 2005 – 2018 TOPCEC, All Rights Reserved.